Enjoy a slow-paced life in every moment in our 5 best selected choices of organic farm stays in Thailand! Find the perfect place for your next journey! This is just one example in one country. There are many possibilities worldwide. Some farm stays are very low cost and more rustic. You can find farm stays around the world by searching online for keywords Farm Stay and the country you want to stay in. Here’s the link for Farm Stay US, a U.S. Farm Stay Association. 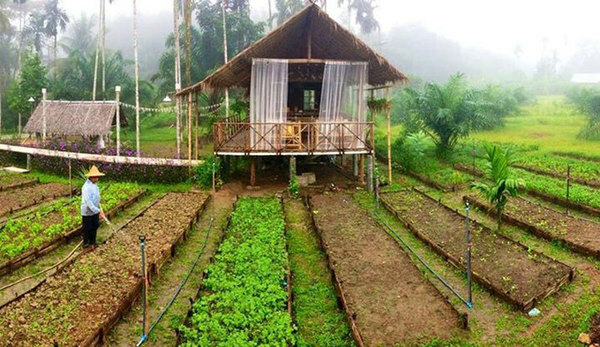 Staying at organic farms is a great way to travel the world on a budget. Accommodations are often quite affordable, and you would have some of the freshest, healthiest food on the planet. You could stay in uncrowded, non-touristy pristine rural areas. Search online before choosing locations to find best places. Some farms offer WWOOFER work exchanges where you can live practically free if you’re willing to help do farm chores. Ask about Internet speed and availability before making reservations. You can also search for more specifics by searching keywords Farm Stay plus keywords such as Organic Farms, Fruit Farms, Workshops, Natural Building, etc. You could turn a vacation into a low cost adventure. – Start a blog such as Farm Stay Reviews (fictitious example for illustration purposes) and negotiate discounts. – Find out key harvest times at places that sound most interesting. For instance, you could probably negotiate a discount for bulk food if you help during their busy season. You could transport the fruit, etc. back home for canning. One or two people could pick produce and then send it home for other family members to process. Repeat several times and you’d soon have a years’ supply stored up in your rootcellar or cool pantry. – You could choose a favorite region such as the area with best organic farms and travel between farms by bicycle, motorcycle, tiny home, RV, etc. 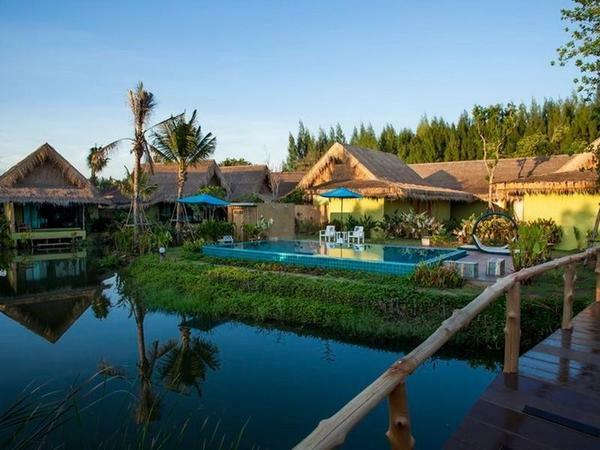 – Select farm stays according to your preferences: best restaurants (check out reviews on sites such as Trip Advisor.com), best prices, guided tours, learning permaculture, low cost camping options, your favorite terrain (forest, beaches, etc. ), preferred activities (mountain biking, hiking, surfing, volunteerism), special amenities such as yoga classes, massage, nearby shopping and national parks, etc. You might find free camping in a national park and eat at the restaurant in the Farm Stay. – Start working online and travel full or part-time as a digital nomad. This could include freelance work such as programming or creating websites, writing books, editing, online teaching, making music… Many possibilities. – You could alternate farm stays with home stays, hotels, etc. in cities for variety. This idea is related to the blog post a few days ago about staying/living at multiple organic farms (Distributed Farm Network). As Ajarn Richard points out “If you can offer tips for soil regeneration or natural building, etc. (add value to the farm) you will find many openings.” He’s already started doing this. This is actually something that I’ve wanted to do for a long time, I just never knew what it was called. I think one of the best ways to get to know people and their culture is to help them work while on “vacation”. I don’t necessarily want to visit all of the famous landmarks of a country. Usually I’m happy just hanging with the locals. I plan on starting a farmstay tour through SE Asia soon. This tour aims to accomplish multiple goals: satisfy my hunger to learn natural farming; learn how to turn degraded land into highly productive farmland at very low cost without harmful chemicals; build meaningful relationships with locals; boost organic food production and the economy; and create an ultimate lifestyle that’s healthy and rewarding. Stay tuned. Many of these places also do natural building because it makes sense to use what’s low cost and locally available. So natural building, natural farming, healthy living, adventure are all interwoven. That sounds exciting, Owen. Keep us posted! Some farmstays offer classes in traditional cooking. This is a great way to learn how to make tasty, healthy meals with easy to grow, low cost herbs, spices, veggies, etc. Learn the basics firsthand then consider buying some recommended cookbooks for additional recipes. Plus, there are countless free recipes online. Some cooking sites are amazing. If you gradually visit 20 or so of these organic farms, you’d eventually learn which ones have the healthiest soil, know the most about natural farming, have the best/tastiest produce, the friendliest owners, have comfortable facilities, nice forests nearby for hiking, etc. We bought some veggies at a local organic farm the other day, and once again was amazed at the difference in quality between that and what’s available in supermarkets. No comparison. Nutrients are quickly depleted once veggies are harvested. Freshness is key.